Ntchisi, a district located in the heart of Malawi, is among the most vulnerable places where World Relief works. Forty percent of the population lives on less than $1 a day. Most people make their living as farmers, but the difficult conditions they work against make for poor harvests and profits. Preventable diseases like malaria and diarrhea are common here, but healthcare facilities and doctors are extremely few and far between. Some say Ntchisi is a place to drive through – but not to linger in for a visit. But this is precisely what World Relief Malawi intern Stephen Blazs did. Once he was able to take a closer look at a village in Ntchisi, he noticed small signs of transformation despite the deep injustices that existed. Much of his role over the summer was to develop new ways to monitor the progress of World Relief programs. But one day, he set out from the office in the capital city to visit a “model village” in Ntchisi. Here, World Relief volunteers and staff worked to improve the health of mothers, orphans and vulnerable children younger than five. Because of his studies in public health at Johns Hopkins University, Blazs understood the magnitude of the vulnerabilities of the region, but he could also see the signs of hope and progress that the untrained eye overlooks. In this village, children wore shoes and socks hung from clotheslines – displaying the purchasing power families had built from joining savings groups. Clean pots and pans sat out to dry, preventing germs from spreading at the next meal. Yards were dotted with latrines and hand-washing stations, protecting the entire village from water-borne illness – and reducing the chance of having to travel to a distant health clinic. “It was encouraging to see an example where community development was working,” Blazs said upon his return to the US. Thanks to the commitment of volunteers who share life-saving health lessons with their neighbors, lasting changes were taking root in this village and many others in three other districts across Malawi. Interested in learning and standing with the vulnerable through a hands-on internship? Check out World Relief’s domestic and international opportunities today! Stephen Blazs is completing a Master of Science in Public Health degree through Johns Hopkins University in Baltimore. 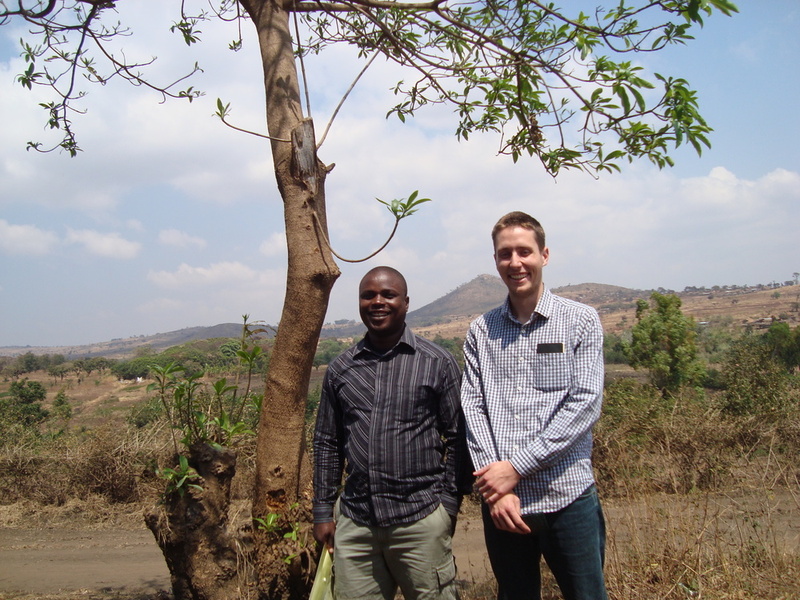 As a World Relief intern, he developed monitoring and evaluation tools for various health and social development programs in Malawi and Mozambique. When Dr. Pieter Ernst, a World Relief Project Director in Mozambique, saw the suffering of women and children from preventable and treatable diseases, he knew there needed to be a solution. And the awakening of healthier communities through education and more sustainable efforts is just what the doctor ordered. Following a 17-year civil war in the Gaza Province of Mozambique, the Care Group Model developed out of World Relief’s first Child Survival Project. Dr. Ernst designed a way to reach a large group of people through generating a network of volunteers within each community. With this, the need for a more comprehensive method to engage community members in becoming educators and leaders who support and encourage one another grew at a steady rate. Care Group numbers multiplied as a small project staff grew in the ability to reach a larger population. Without straining individual volunteers, Care Groups mobilized communities to address various health issues and take extensive action. ALL while creating a lasting and continual difference within communities. Dr. Ernst recently received the 2014 Dory Storms Child Survival Recognition Award for the design of the revolutionary Care Group Model. Together with Dr. Ernst and others who have participated in the Care Group Model, World Relief will celebrate 20 years of this innovative project in 2015. Through this program, we have seen God do great things in countries and communities where health information is seldom provided. Simple explanations can truly change countries and empower people to become heroes in their communities. Earlier this month, we shared the story of Capitoline, a hero who’s saving the lives of many children in her community in Burundi. Now, we get to share the story of a grateful mother who knows firsthand just how important Capitoline’s skills and care are. “Nobody can love and take care of our children the way Capitoline does,” Emmanuella said, as she thought of the time her 17-month-old came down with a high fever and had convulsions in the middle of the night. She and her husband were afraid - these were signs of malaria, a disease that is preventable and treatable, yet often deadly in Burundi. But Emmanuella knew her neighbor, Capitoline, was a community health worker trained by World Relief. So in the early morning hours, the family ran to Capitoline’s house nearby for help. She was able to immediately give Emmanuella’s child the proper medications, which led to recovery just three days later. In the past, Emmanuella had taken her children to the hospital when they were sick. But a trip to the local hospital was a significant journey on foot, and they would often have to wait to even be admitted once they arrived. Capitoline’s medical training meant that Emmanuella and her family didn’t have to wait a long time to receive treatment – time that can mean the difference between life and death. World Relief has trained hundreds of other community health workers like Capitoline, who are always ready and willing to help their neighbors. 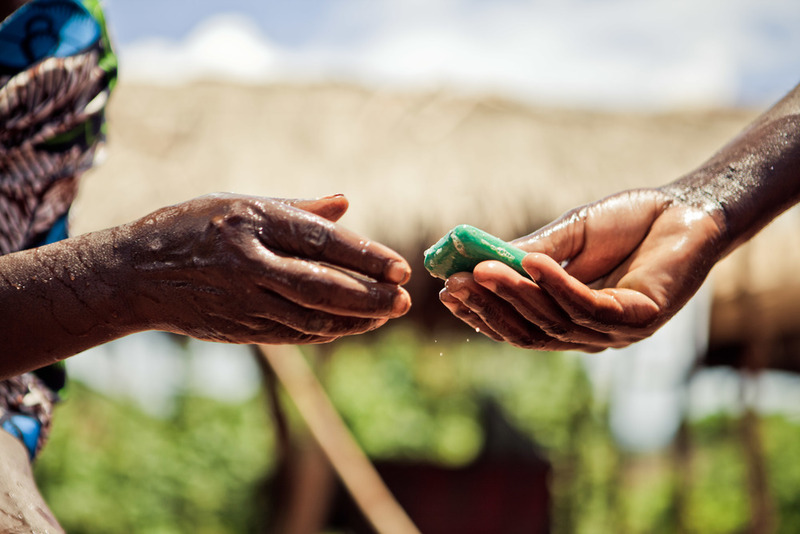 In addition to diagnosing and treating different diseases, they also educate their neighbors about simple hygiene practices that promote good health for every-day living. To give thanks and empower more heroes like Capitoline, visit empowerahero.org. “I would like to give thanks to God and my parentsfor allowing me to participate with the [children’s] group.” said Leam, an 11-year-old boy in Cambodia. Just over a year ago, Leam was suffering with an unknown illness. Because of his health problems, he had difficulty concentrating in school and was teased by his classmates because of his decreasing size. One day, a friend stepped in to help. This friend had attended a World Relief children’s group where he’d learned valuable hygiene and health lessons, including the common problem of parasites. He told Leam that parasites could be making him sick, and invited Leam to join the children’s group to learn for himself. But Leam was hesitant. He knew the group was run by Christians – church volunteers – and he didn’t want to be converted. But curiosity got the best of Leam. When the children’s group volunteers returned to Leam’s village to do an educational puppet show the very next day, Leam watched from a safe distance on the road as children ran towards the meeting area, laughing and cheering all the way. One year later, the changes in Leam’s health and heart are still evident. He continues to use the health lessons he learned in the children’s group, like washing his hands, wearing shoes and sleeping under a mosquito net. 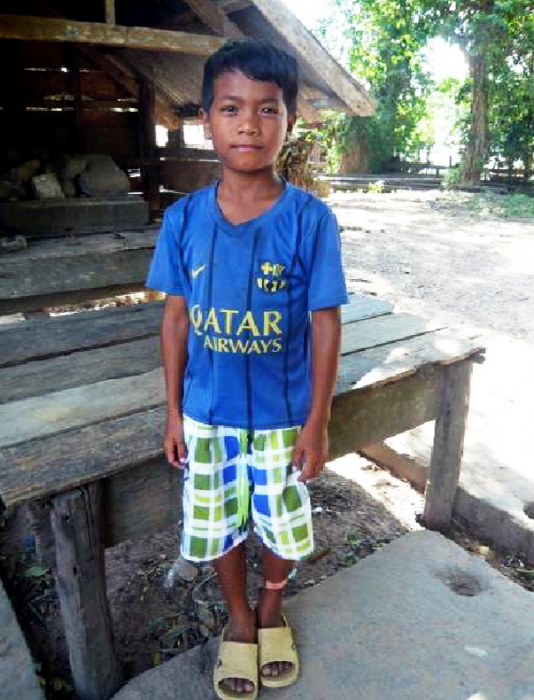 Because of these changes, Leam is no longer sick and his family’s medical costs have decreased. “I realized that my health is much better than before, and my mental health is also improved. I am now a great student in my class,” said Leam. This incredible transformation would not have happened without the support of our partners who have stood with us as we empower people like Leam. So we, along with Leam, say thanks! "This should not happen to people"
In honor of International Women's Day, our Country Director of Indonesia, Jo Ann de Belen reflects on those close to her heart and why she wants to be part of changing the world. I once knew a leper. He was close to me. Apart from his leprosy, he was just like any one of us. A creation made in the image of God. Without touching me, he taught me music, math, and how to laugh at myself. He contracted this dreaded illness when he was a child, at a time when there was no definite cure for it. The stigma of the illness was so great, that his own family was ashamed to tell others. And so his parents kept this dark secret to themselves while they can. The teenage boy did not enjoy what others enjoyed. He was kept inside the house, not brought to big family gatherings or to be “displayed” publicly. He wore clothes that would conceal his open lesions. Even when he was in a crowd, he felt alone. He suffered all this by himself, not understanding what it was. His parents, perhaps not knowing what to do, just pretended to the world that he did not exist. He grew up to be an adult and married and had children and tried to live a normal life. But the world wouldn’t let him. He died a lonely man, alone in a room, visited by only a handful. 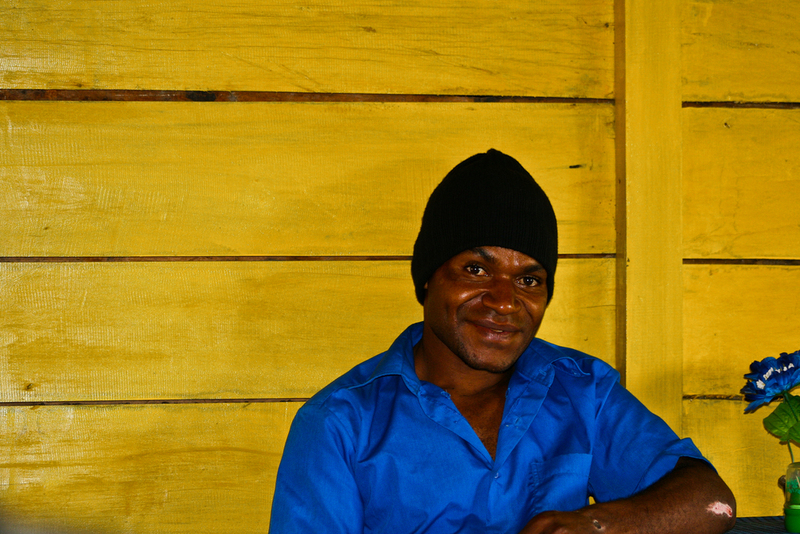 As I remember this friend with leprosy and feel his isolation and pain, I remember the people we serve in the highlands of Papua. The ones infected with AIDS. What could they be feeling? Whatever it is, it couldn’t be much different from what the leper felt. Alone, isolated, shunned. The stigma against AIDS is so strong, the oppression against people with AIDS so overpowering, that I ask…. What can we do? How can we change all this? This should not happen to people, God’s own creatures made after His image and likeness. This is why I feel so strongly about God’s children learning to love those that the world has shunned, ridiculed, thrown away, isolated. I long to see the church in Papua embrace back those who are afflicted with AIDS, to care for the children orphaned and made vulnerable by AIDS, and to make sure that this disease is wiped out of Papua. I pray that God makes this happen soon. So that no one will have to suffer, and suffer alone. By Catherine Patterson, Maternal and Child Health Intern for World Relief Indonesia Today began as Saturdays usually do in the highlands of Papua, Indonesia: with children calling at the front gate with berries and flowers. Most are barefoot, wear ill-fitting clothes and come from the surrounding villages. Today, a little girl came with a badly infected lip. We sent her home with a tube of ointment and a few Rupiah in exchange for a bright orange and red bouquet. Another boy came with juicy raspberries and one foot wrapped in a plastic bag. After examining his foot, it was clear that jungle rot had started to take over his big toe. We gave him sandals, provided a few antibiotics, and purchased his berries. Indonesia has made great strides in addressing some of its most pressing health problems. Since 1990, the number of children who die before age 5 has been reduced by half, and Indonesia is on target to meet many of its Millennium Development Goals. Despite these advances, however, Papua Province continues to experience health standards below those in other areas. About 30% of children under age 5 suffer from malnutrition. While nationally, 17% of people live in poverty, in Papua, it is estimated that at least 30% of residents are poor. HIV is reaching epidemic proportions here with a reported 3% prevalence rate, and the situation is made worse by a lack of testing and treatment facilities. 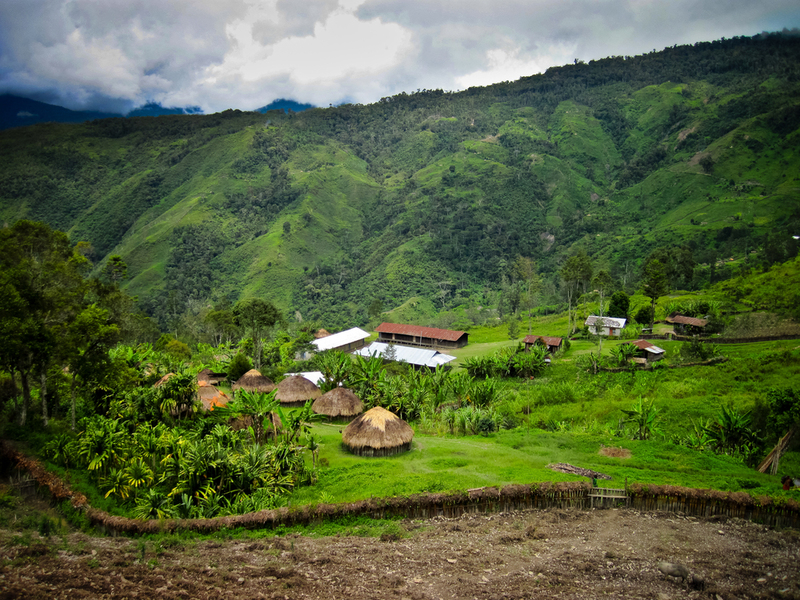 The remote nature of this beautiful, mountainous land exacerbates the problems faced by people living with limited access to essential medicines and care. 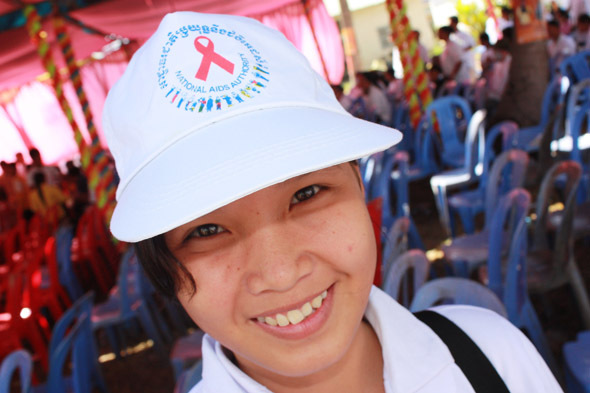 Stigma and fear of HIV/AIDS frustrates efforts to provide prevention and care. All too often, outbreaks of violence and tribal warfare interrupt regularly scheduled programs aimed at improving the health of Papuans. 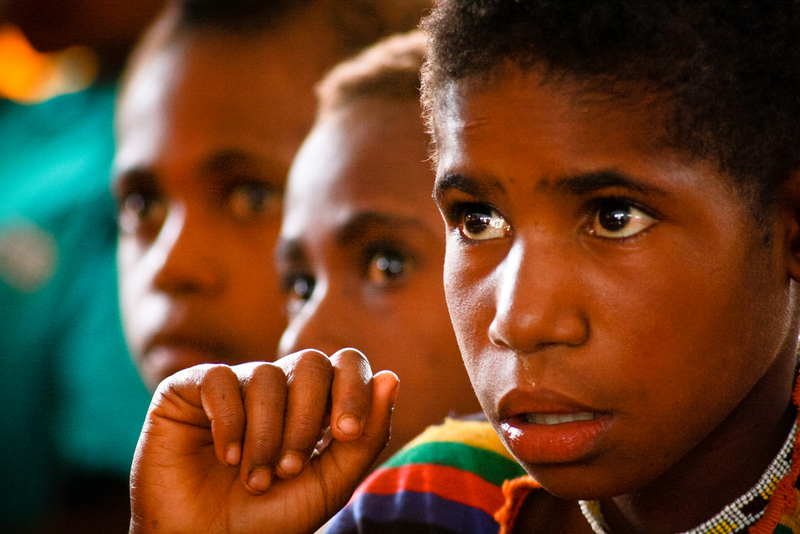 Since 2008, World Relief has been reaching some of the most vulnerable in Papua’s Tolikara and Jayawijaya districts. Through its Mobilizing for Life: Protecting Papua program and in partnership with the local church, local staff provide outreach and education to youth, men, and women on HIV/AIDS and teach communities how to protect themselves and stop the spread of the disease. But there is still much to be done. Less than half of all births are attended by a skilled health worker, and far too many women die in childbirth each year. Despite substantial investments by foreign donors and the Indonesian government, Papua Province is the only area of Indonesian where the Human Development Index is falling. Our church partners have requested help to reverse this trend, and World Relief is currently exploring how we might reach this area with additional life-saving health messages. As I think about the realities of Papua, my heart is hopeful. Her people are strong, proud, and resilient. They are eager to learn so they may take control of their health and strengthen their communities. I think of the flower children, with their big eyes and bigger smiles. It is easy to be discouraged that at times, all we can offer is some ointment or antibiotics. But I am filled with hope and the knowledge that God offers much more through the love and grace of Jesus Christ. It has been my honor to stand with World Relief in Papua, Indonesia, as they seek to empower the local church to reach out to those who need health and healing in the highlands. As World Health Day approaches on April 7, take a moment to stand with me for the health of people living in Papua and pray that God will bring healing and strength to all who need it in the mountains of Indonesia. Catherine Patterson serve with World Relief as a volunteer. To learn more about World Relief Indonesia and the work happening there, click here.